Growing up, I loved my grandma’s oatmeal raisin cookies and I also love carrot cake. It’s so moist and filled with raisins and carrots. What I really love about carrot cake though is cream cheese frosting. I won’t lie. 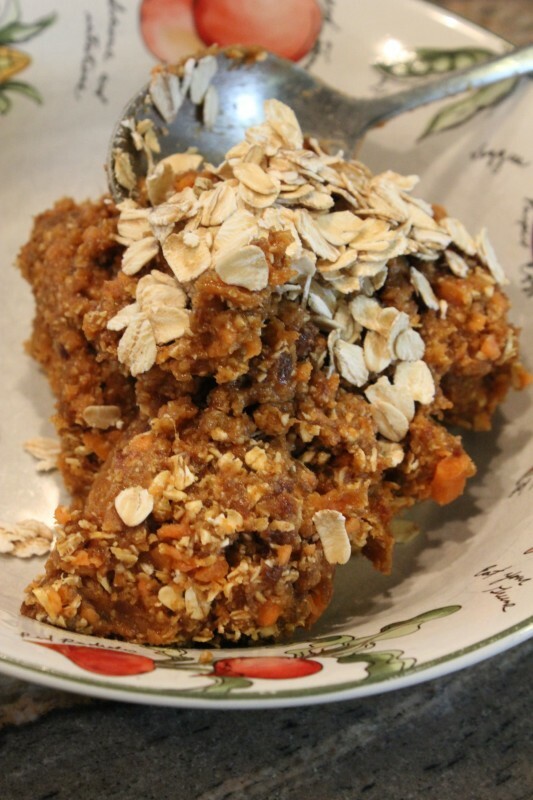 Today’s recipe incorporates Oatmeal Raisin Cookies + Carrot Cake, sans frosting. You can always add frosting, but of course. 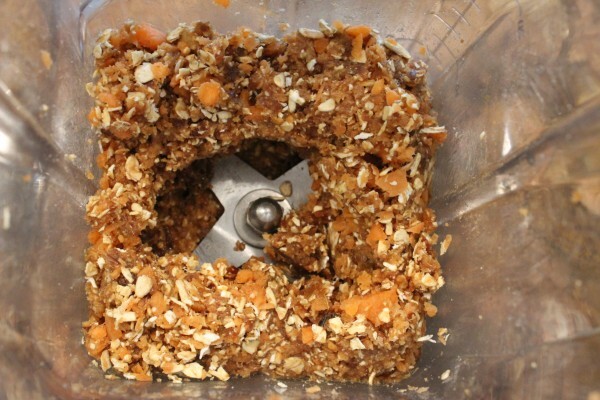 Blend the oats and carrots in a Vita- Mix or food processor for about 10 seconds. Then add everything else (except the reserved ingredients) and blend for another 20 seconds or until incorporated. Don’t overblend. 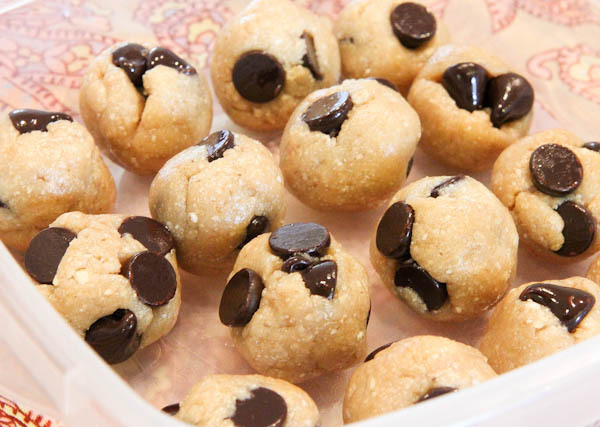 Form into bite-sized balls or cookie shapes. If needed, refrigerate or freeze the dough for 15 minutes to make it less sticky and easier to work with. Yields: 1 dozen bites the size of a quarter gumball. Store in freezer or refrigerator. 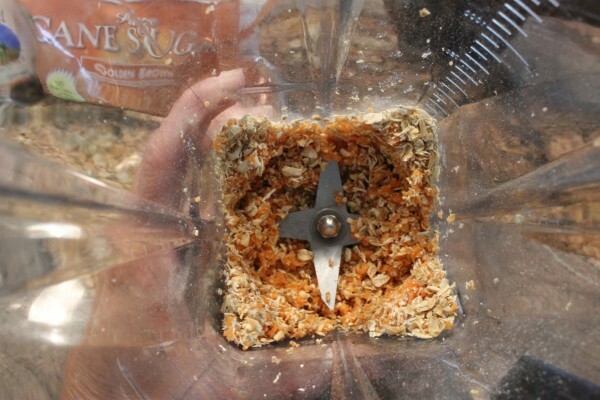 Optional: Pinch Pumpkin Pie Spice, Pinch Ground Ginger, 1/8 c Coconut Flakes, 1/8 c Walnuts/Almonds, 1/8 c chocolate chips. Add frosting drizzle at the end, such as storebought Cream Cheese Frosting. Or, follow my Raw Vegan Cheezecake Filling recipe (and reduce by half) for raw vegan cream cheeze frosting. Note: For those desiring a more traditional cookie, bake at 350F for 8 to 12 minutes, or to desired level. 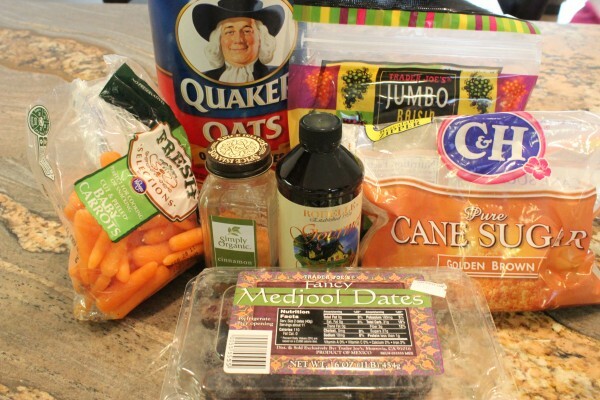 Add everything else (except reserved items) and blend for 20 seconds or until incorporated. 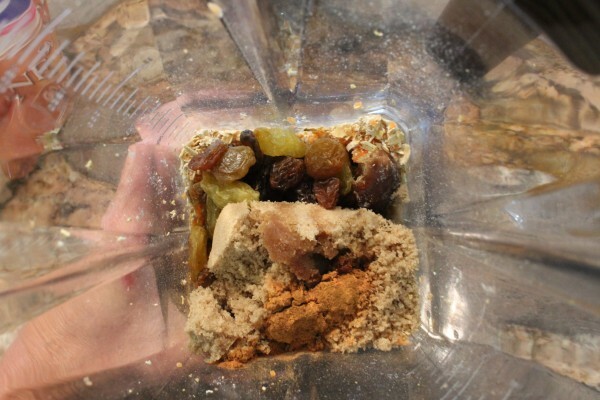 Don’t overblend and make pulverized mush. By hand, stir in the reserved oats + raisins. I like the added texture these items give to the finished product. From into bites, balls, bars. Or whatever you call them. I call them easy, fast, and good. 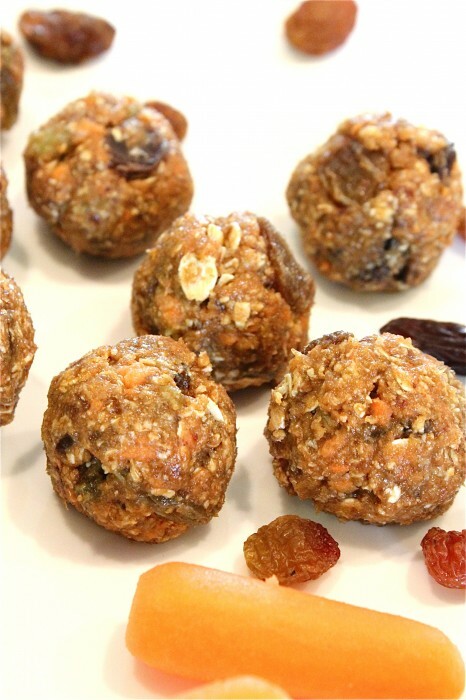 Are a “healthy” dessert or snack. We all have different definitions of healthy, but as desserts go, these are pretty healthy in my book. They ‘re vegan and came together in less than 5 mintues. Gotta love anything no-bake. 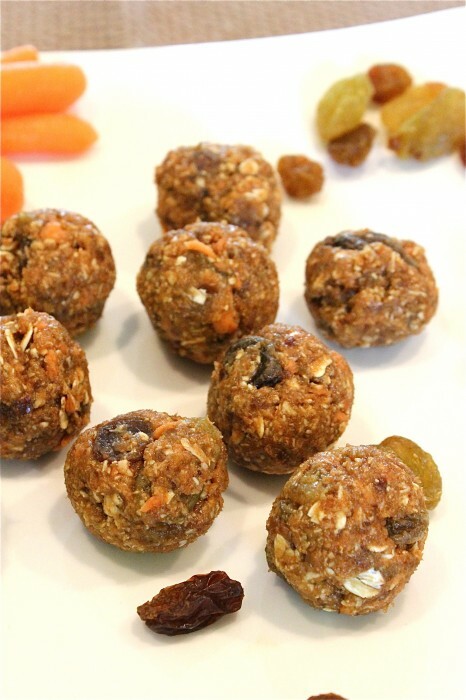 And combine two of my fave dessert flavors, Oatmeal Raisin Cookies + Carrot Cake, all rolled into one bite. 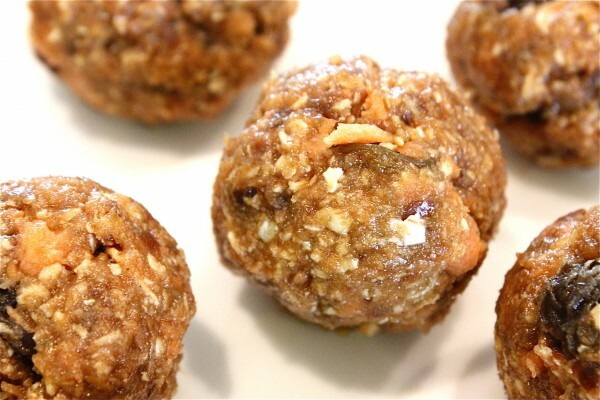 And don’t forget to check my Dessert Ball Recipes Post for a compilation of everything from…. 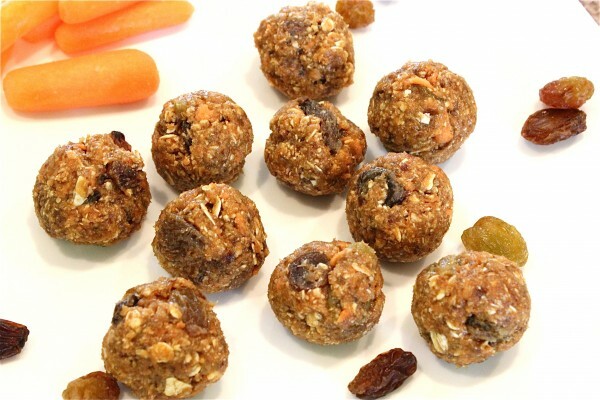 My two year old boys LOVE these “cookie balls”. 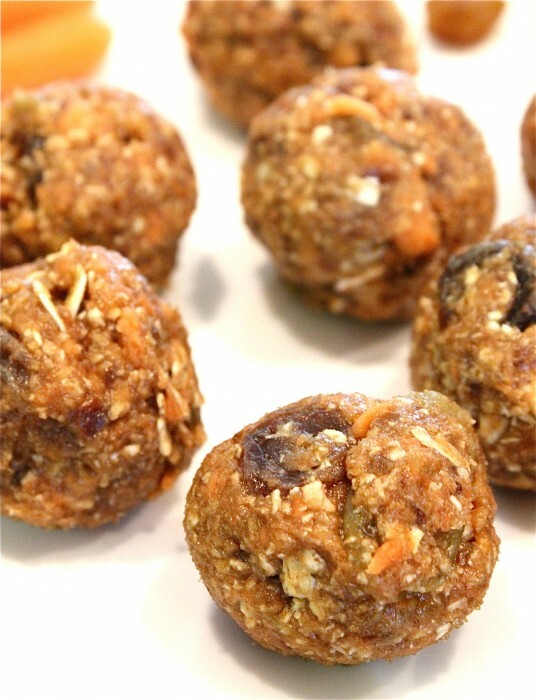 I’ve made them with figs as well as dates (all I had on hand). We found them sweet enough to omit the added sugar, subbing a mixture of almond meal/flax to keep them from being too sticky. Yummy! Love comments like this and that your boys love them and that you’ve taken the ball and ran with it (literally!) changing it to adapt to your needs and tried figs and dates, too! These were delicious and well received by my kids! Only trouble was that they did not really hold together–not nearly as moist as yours look in the pictures. I added a little coconut oil to bind them together and that worked well. Any other suggestions? I used a food processor because I don’t have a Vitamix. The dates were Medjool and very moist. I don’t think that was the problem. Any suggestions welcome! Thanks for the great recipe! With recipes like these, very slight tweaks to wet and dry ingredients can work wonders. Sounds like you were on the right track with the coc oil. VitaMixes and food proc work very differently and things turn out ‘moister’ in a Vita in my experience which is why I use it for recipes like this. So maybe just get a Vita :) (kidding) or use less dry ingredients or more coc oil next time, or more dates! My husband is a big fan of the peanut butter no-bake cookies; however, he is also allergic to nuts. These look like they will fit the bill for him and me-I don’t like sweets that are too sweet. I fee like it is necessary to voice an honest opinion despite the fact that it is a negative review. It would have helped me before making these. First, it matters whether you use bitter or sweet carrots. Sounds like a no-brainer, but it makes a huge difference. That said, even with sweet carrots, these were not as tasty as I hoped. 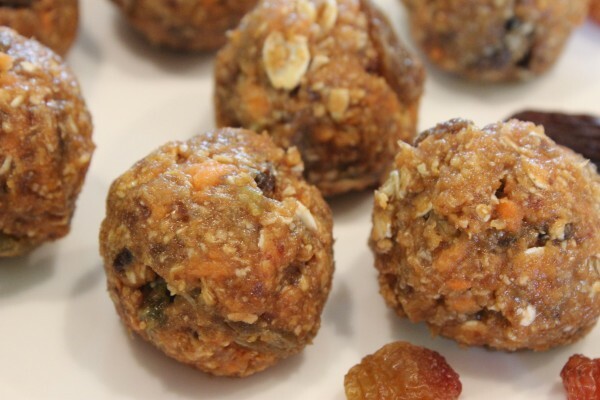 They tasted exactly like you’d imagine a big mixture of raw carrots and raisins to taste. I don’t know. That sounds so dumb to me now, but the pictures and the comments had me all psyched up for some mind-blowing healthy food that didn’t taste like rabbit food. Some people like rabbit food. Apparently I am not one of them. These were way too sweet for me, but my 3yo loves them! 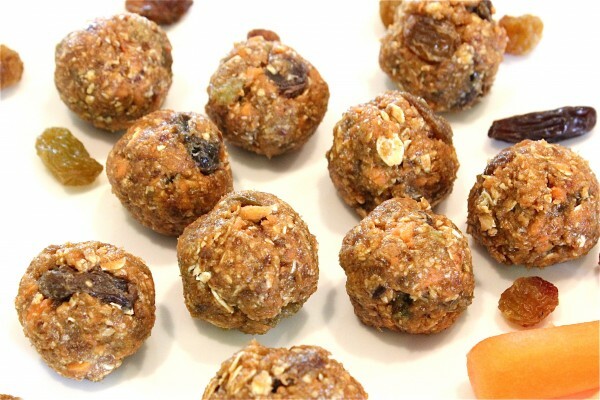 They have a lot of sugar in them but are definitely healthier than most packaged snacks!